Your students will love, love, love this! They will watch a video on the true meaning of Thanksgiving, have a discussion, fill in a worksheet, make puppets, and present the puppets! Enjoy! Copyright © A Counselor’s Dream. All rights reserved by author. This product is to be used by the original downloader only. Do NOT share, reproduce, or distribute print or digital copies in any form. 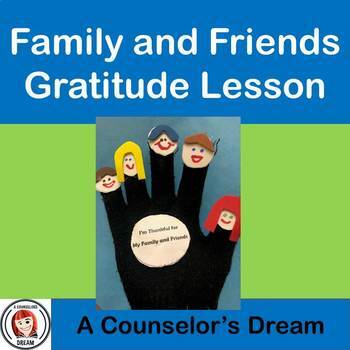 Please refer interested teachers to my TPT store at www.teacherspayteachers.com/Store/A-Counselors-Dream to purchase their own copies of this teaching resource. Additional licenses for other teachers use can be purchased at a discount. Failure to comply is a copyright infringement and a violation of the Digital Millennium Copyright Act (DMCA).